The Silverton Mountain Guides Alaska heli skiing crew made the first turns of the season after a steady week of September snowfall. The heli ski guide crew fired up the chopper and went skiing and snowboarding, finding incredible knee deep powder and miles and miles of untracked snow. 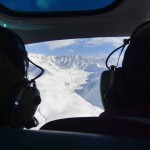 Is 6 runs per day enough for your long awaited Alaska heli ski trip? Almost every other operator averages 6 runs per day over the span of their week-long heli trip. Regardless of if they charge in vertical feet or runs per day your average will likely be 6 runs per day. 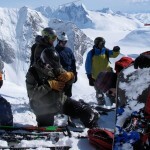 Silverton Mountain Guides prefers to ride strong all day long with 10-18+ high quality runs per day. You have been dreaming of this trip and 6 runs a day may not be enough.. 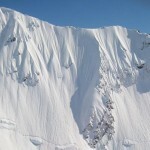 The Most Heli Terrain in Alaska? 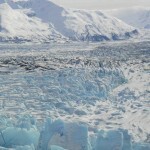 Our terrain spans multiple mountain ranges, multiple towns and multiple boroughs in Alaska. Size does matter, at least that’s what we hear from our guests. SMG is also the sole permit holder of 1 million acres of USFS/BLM terrain. The good word has spread and the final slots for 2016 are gone and we are again 100% sold out. With normally only 12 skiers/riders per week, space is in very high demand as we have sold out in full every season in our history. We do get cancellations so it’s worth putting your name on the wait list. Private ships can usually be added at any time at any date. The 2013 snow in the Northern Chugach is wild. The high alpine looks the best we have ever seen it and is skiing great. 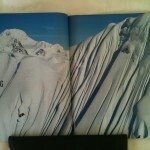 Snow depths on the high peaks are almost 200″ deep. 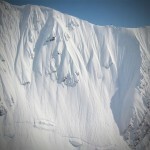 Seth, Sage, Daron and Dash are here in the Northern Chugach with TGR filming their AK heli segment for their new film. Good weather has welcomed the crew as they got started in our zone. Looking forward to watching the magic happen! Getting a good look at the snow stacked in deep in the zone. Everyone is really pumped!